Product prices and availability are accurate as of 2019-04-07 03:36:09 EDT and are subject to change. Any price and availability information displayed on http://www.amazon.com/ at the time of purchase will apply to the purchase of this product. 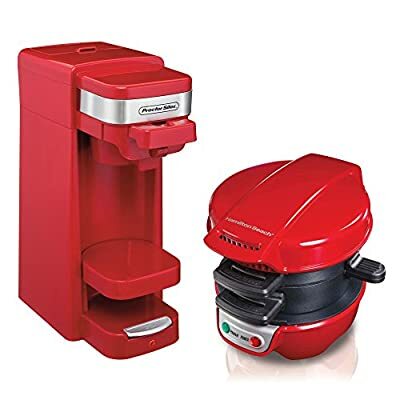 Breakfast is served with the Proctor Silex FlexBrew Single-Serve Coffee Maker and Hamilton Beach Breakfast Sandwich Maker. For brewing a personal cup of coffee at home or on the go, nothing's better than a single-cup coffee maker. The Proctor Silex FlexBrew Single-Serve Coffee Maker lets you make coffee without the mess and hassle of brewing a whole pot. Need to grab a cup on your way out? The FlexBrew is tall enough to fit a full travel mug or large coffee cup. The FlexBrew is compatible with any K-Cup pack or can use grounds to brew the freshest coffee. Choose from regular or bold for a rich, dark cup of happiness and brew up to 10 ounces using single-serve packs or up to 14 ounces with grounds. If breakfast sandwiches are your thing, you are about to be in breakfast sandwich heaven. 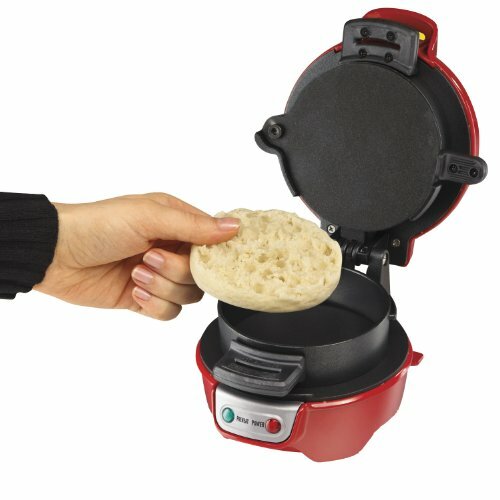 Cook sandwiches with English muffins, biscuits, bagels, and more in just 5 minutes with this Hamilton Beach Breakfast Sandwich Maker. 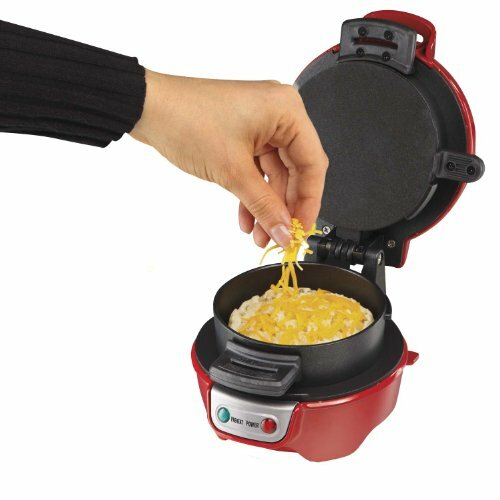 Each layer is cooked to perfection on the cooking plates and slides out so you can assemble your sandwich. 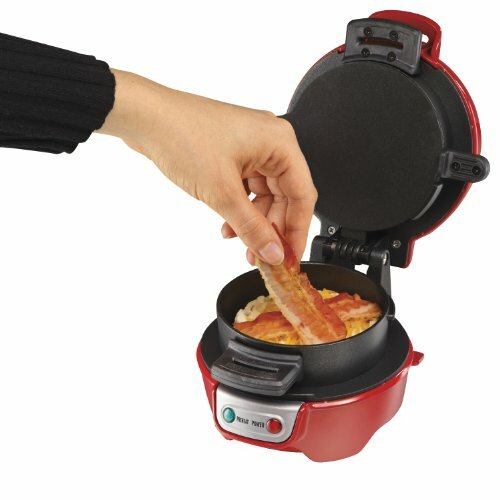 The first layer cooks the bottom half of your sandwich, the center section perfectly cooks your egg and the top plate gently toasts the bread on the top and holds the heat inside.